Some ridge gourds are bitter in taste and some are sweet. So, it is always better to check it once before you use it as an ingredient in your recipe.. It goes well with both chapathi,puri and also with rice. This palya or sabzi is actually very easy and simple to make. It hardly takes around 20 - 30 minutes of your time to prepare. Peel the outer skin of the ridge gourd. Chop the vegetable into small pieces as you like. Take a kadai or a pan. Add 2 tsp of oil. Add 1 tsp jeera, urad dal, mustard seeds and fry. Add chopped onions, green chillies, chopped ridge gourd pieces. Let the vegetables get cooked. If needed, add half cup of water. Add red chilli powder, garam Masala powder, kitchen king powder. Leave it for another two to three mins so that the masalas get mixed well with the vegetables. 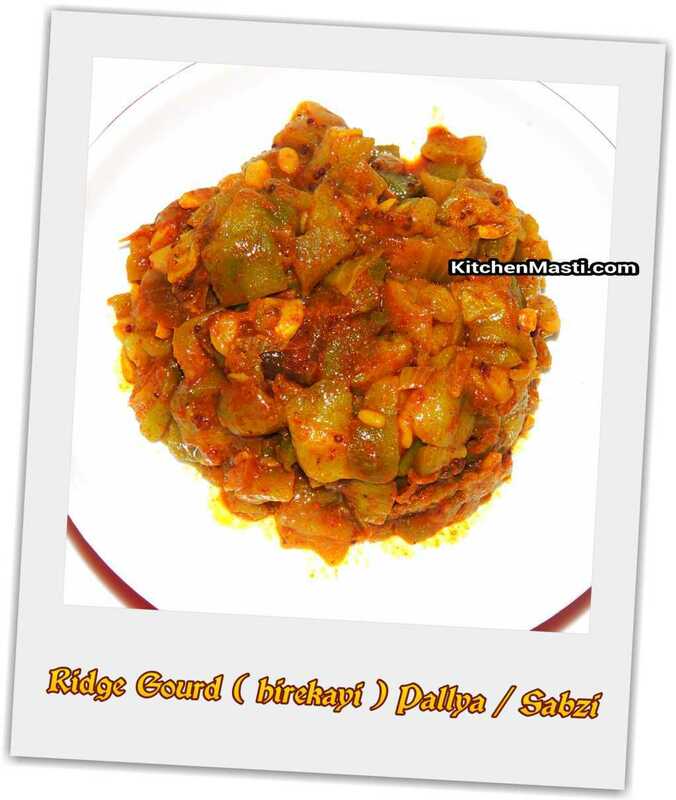 Now your yummy and healthy ridge gourd pallya is ready to be served. Garnish it with coriander leaves if you so desire. Do not throw the skin of ridge gourd. Instead try to make the best use out of the waste. I will show you how to use or utilize the ridge gourd to the maximum extent. Firstly, roast this ridge gourd peel in two tea spoons of oil along with 1 tea spoon of urad dal (black gram ) , around 4-5 red chillies. Add 2 table spoons of coconut scrapings, salt, coriander leaves and tamarind. Grind all these materials together. Give a tadka (seasoning)! This will turn out to be a very tasty chutney. It can be eaten along with urad dosa also.